Please note that the Punch Bowl and the Eagle & Child are now permanently closed. This walk offers a lovely stroll following the south bank of the Ribble to what was the de Tabley Arms at Ribchester Bridge. 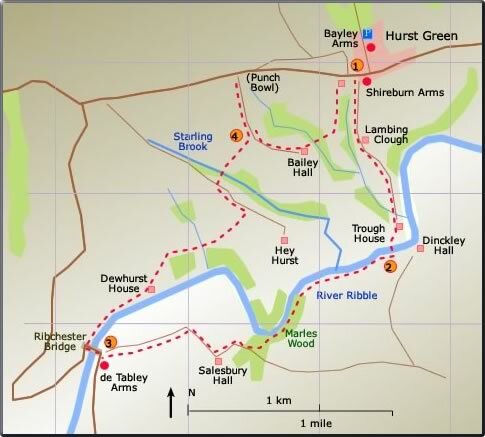 The return mainly follows a bridleway to Startling Brook and then over sheep pasture to Hurst Green. Warning: The de Tabley Arms no longer exists.